72 degrees and sunny here today. The US Open of Surfing is going on here in Surf City USA. 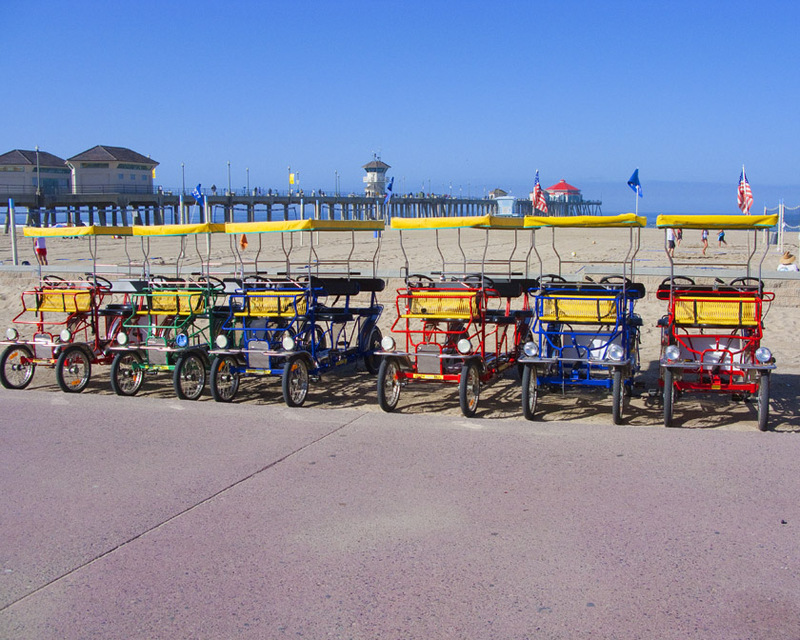 Pedal buggies stand at the ready with the West Coast's longest pier in the background.